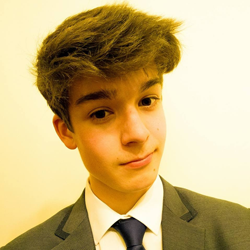 I'm a 20-year-old developer based in Dunfermline, Scotland, I specialise in developing back-end software solutions, the majority of these have been solved using Java, PHP & MySQL. I always enjoy expanding my knowledge and skillset by learning new technologies, I can then use this new knowledge to tackle more complex challenges. I've always had a very deep interest in technology from a young age, especially in the programming field. Hired as an apprentice developer, working on improving and fixing bugs in Airts products such as Braid and the Solver API. Hired by CubeCraft to develop various backend services and develop their large Minecraft multiplayer server. Worked on mostly backend server solutions for one of the largest Minecraft multiplayer networks, these solutions occasionally had to be capable of communicating across multiple server instances (accomplished using Redis). I spent most of my time there working on non-games/player lobby features. I also had to design and implement a backend database structure and create PHP scripts to dynamically generate web pages to fetch, process and display data from said database. Worked as lead developer of a highly ambitious project to allow massive amounts of players to host their own Minecraft worlds and invite their friends to join them in their world. The backend servers were designed to be infinitely scalable by using multiple Google Compute instances to distribute the load, these would dynamically scale up or down depending on server traffic. This allowed the system to be effectively limitless. Developed server-side applications based on specification provided by clients which had been sourced by Puzl Inc. These projects mainly made use of Java, MySQL and the Bukkit API. This involved working directly with the client and ensuring they were satisfied with the end product by implementing requested changes and additions in a timely manner.